Communication is an important way to build up a relationship, which is one of the key points of doing business. 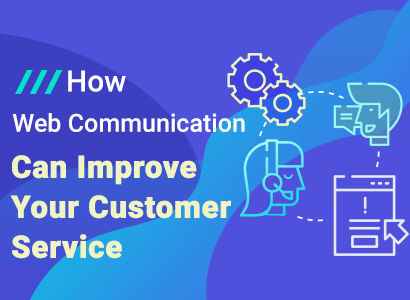 Therefore it is a good idea to provide a means of video communication with your clients, in addition to text and audio, because your body language, facial expression and the tone of your voice help to convey your sincere interest in your clients’ needs and thoughts. 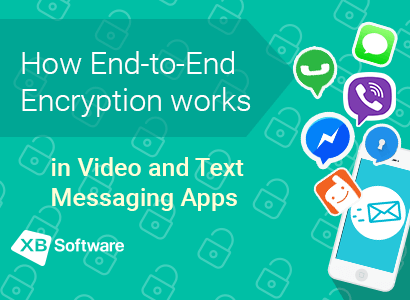 Want to create peer to peer video chats on your web pages without installing plugins or any other third-party software? 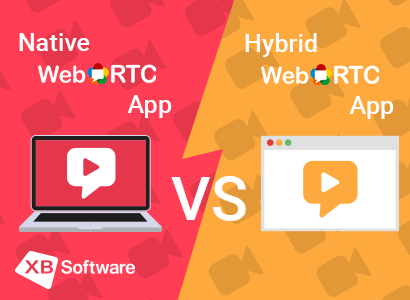 WebRTC application development is a relevant answer for you. 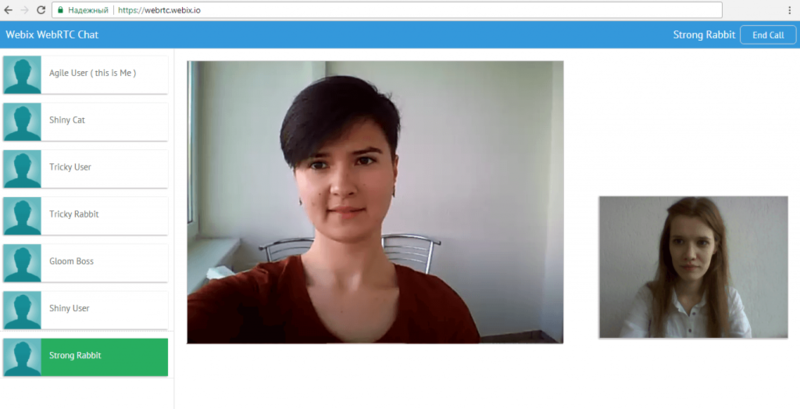 Tune in, and this tutorial will show you how to create a video chat using EasyRTC and Webix UI Library, created by our software development company and available under GPL. 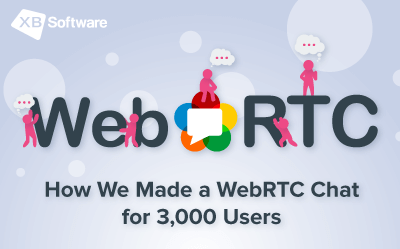 Step 1 – Why WebRTC? 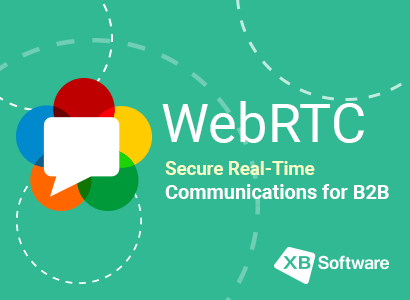 WebRTC apps work across multiple browsers and platforms. You need to use any browser that supports WebRTC: Google, Opera, Firefox, MS Edge or Safari. You can forget that Big Brother is watching you, as all data sent between browsers is encrypted using DTLS and SRTP. Mind that you can access the demo only via https, not http. You can forget about distorted or pixelated faces, as VP8 codec ensures excellent quality of a video stream. 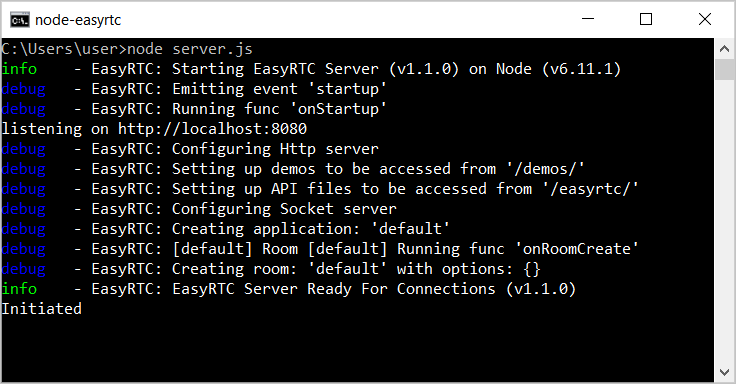 EasyRTC is a free open source framework that with its powerful server/client-side API helps build WebRTC apps out of the box. We’ll use this framework to create our WebRTC peer to peer example. 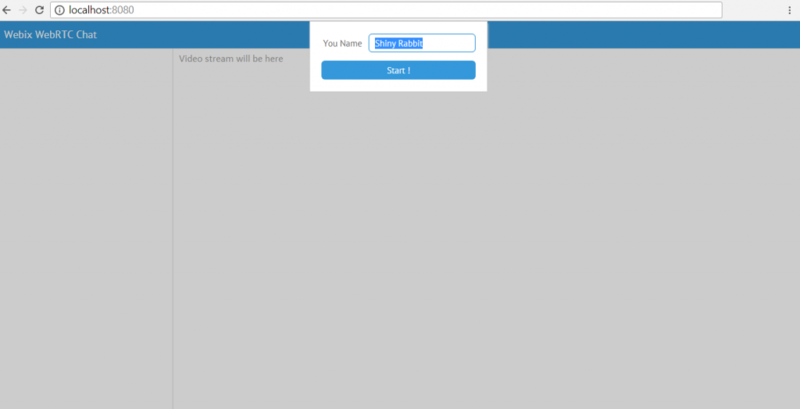 In the following four steps you will learn how to start a server, create a basic UI for a video chat example, add video streams and some necessary features. 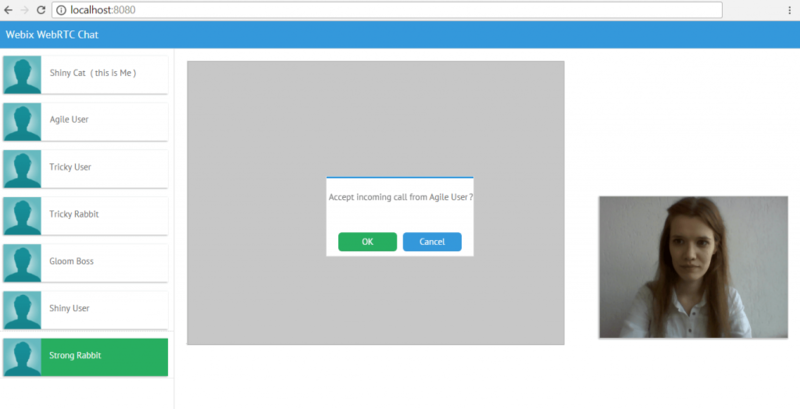 In the end you’ll have a full-fledged app using a free WebRTC server. Done, guys. Now it’s time to write the code. You can find the code for server.js on GitHub. So far so good! It’s time to create the UI for the chat. 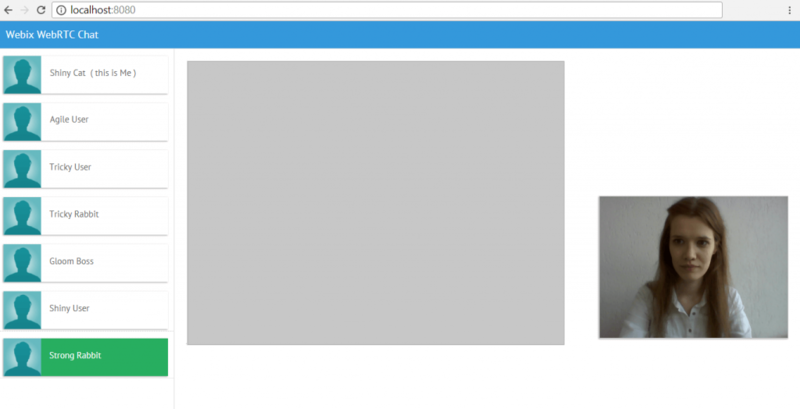 and the files for the project itself (app.css and webrtc.js). – the app.css file, that contains style for the UI. Now create a subfolder for images and place an image that you want to use as an avatar (for example, you can name it avatar.jpg; its size should be 300×300 px). 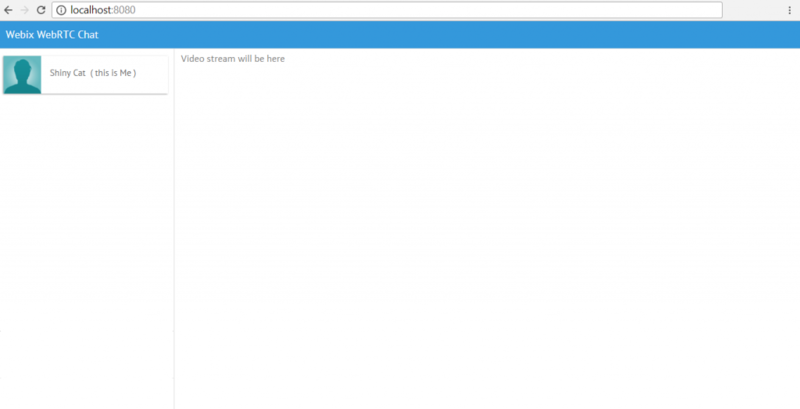 In the project folder, create webrtc.js. This is the main file of our WebRTC video example, as it will contain all the logic. Let’s dive into it. Next, create a window with a log in form, that will appear when users access the chat or reload the page. The form will contain the Start ! button: on click the name will be verified and added to the list. We’ve created the UI! You can view the complete source code. Awesome. Let’s move on to the next step. In this step you are to modify your webrtc.js. Let’s begin from the user list. 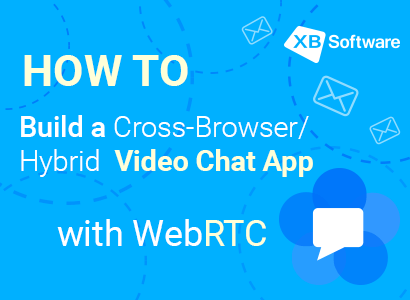 First, you need to create a connection with the WebRTC server. For that, define the doConnect() function, that will take the configuration of the contact list as a parameter and make use of the EasyRTC API. In case of an error, users will see an error message. 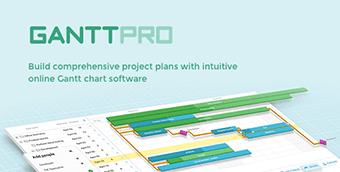 The doConnect() function will be invoked when a user clicks Start ! on the login form and the name is verified. Great! 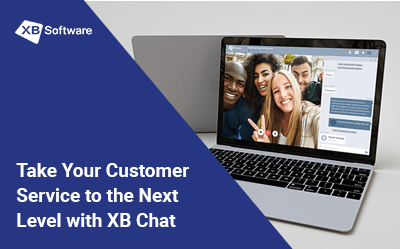 The basic video chat example is created, though we need to add some necessary features like a button to end a call, and a label to display the status. Besides, we’ll make the app more verbose by adding the text for call requests and one more error message. Besides, you need to add code for setting the status before attempting connection and for truncating the status if the call has been rejected. You can check out the source code of the demo. This is it, guys. We’ve done it. 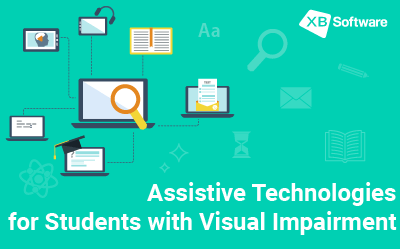 See live demo. 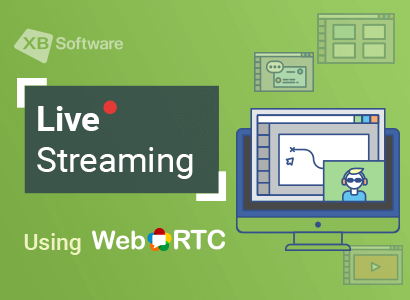 WebRTC development is good if you plan to create peer to peer connection and video chats in particular. 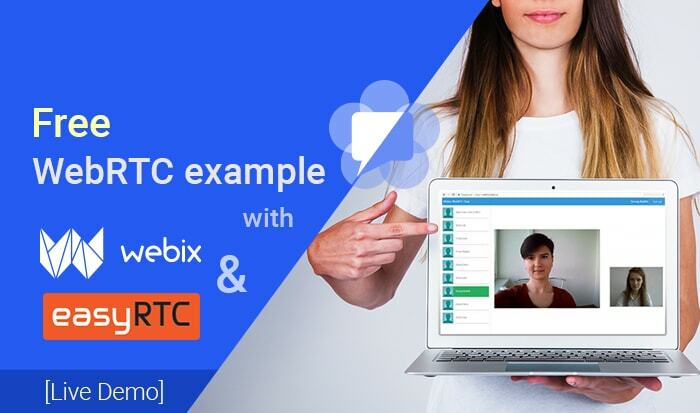 You’ve seen how EasyRTC framework makes it easier to use the WebRTC API and how to create a basic UI with Webix. And this is not all you can do. You can further modify the UI and add more features to make your chat even better.